IT’S HARD TO believe that beneath the welcoming, streamlined elegance and efficiency of the award-winning FOCUS Eye Centre in Kingsford, Sydney, is a century-old cottage. More remarkable is that the renovation work was completed to a strict six-month timetable on the very day promised by its architect Georgina Wilson. “We really had to minimise the down-time,” explains ophthalmologist Dr Richard Smith, director of the small private hospital. But there must be more to this urban miracle. Or put it another way: why can’t home renovations unfold with the same time-managed precision — particularly when this was a design and build considerably more complex and technologically sophisticated than your average house? 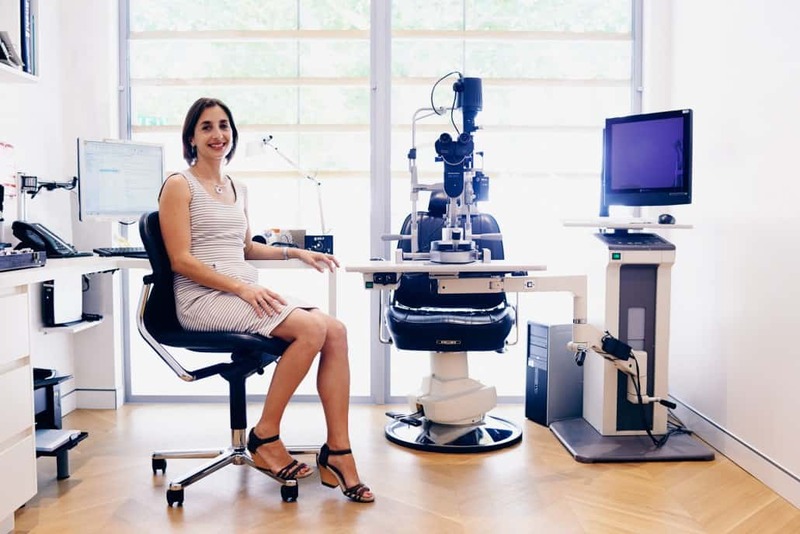 FOCUS Eye Centre is equipped with the very latest in laser treatment technology and electronic medical administration (upgraded from the paper-based system that many are still hoping to leave behind). FOCUS Eye Centre is a facility calculated to provide maximum natural light and space for its 20 staff and busy flow of regular patients. It has been planned to balance operational efficiency with a very tangible sense of spaciousness and beauty. FOCUS Eye is a place that meets and indeed exceeds the expectations of its patients in an intensely competitive market. It’s a state-of-the-art facility that recently passed the rigorous NSQHS standards audit with flying colours. “It generates an outstanding response from the people and we’ve had multiple colleagues visiting,” says Dr Smith. And all this completed to a stringent six-month building program — to the day. How was this possible? The secret, it seems, is to engage the services of an architectural practice that understands the exceptionally complex and multifarious concerns of creating a 21st century private hospital of this size and design quality, to a short and strict deadline. Architect Georgina Wilson had to design a place that seamlessly integrated new medical and information and medical administration technologies in the very fabric of the build. It was an approach aided by Georgina’s husband and business partner Marcus Wilson, who has a keen understanding of customer-directed medicine, not to mention the complex business of turning a traditional medical practice into a paperless one. No rows of printers, piles of files and knots of cables — here the records and diagnostic equipment are networked and cloud-hosted. Much of the design has been built from steel that was prefabricated and then assembled in double quick time on site. The surgery is planned around a central reception/waiting room with consulting rooms and administration areas radiating off to maximise traffic flow and make the best possible use of available light and space. The total result is a highly efficient and welcoming surgery that had to – and does – meet the high expectations its patients. The technological innovations have also had a strong impact on the working environment for the staff, adds Dr Smith. In November of 2013 FOCUS Eye Centre won the 2013 MBA Excellence in Construction Award for Commercial Buildings. It was a finalist in the 2013 Australian Institute of Architects NSW Awards and it won the Randwick City Urban Design Award (commercial category).